KREYOL: Haiti - Jounalis resevwa envlop LAJAN nan men Palais National kòm Kado de Nwel... Lilianne Pierre-Paul radio Kiskeya fashe... ta sanble gen kek nan jounalis Kiskeya yo ki revoke, Manmzèl voye yon let danble bay Lucien Jura, Pot Pawol La Presidence la... Kisa-w panse? In a letter addressed to the National Palace, Liliane Pierre-Paul blasts National Palace porte-parole Lucien Jura for getting involved in this act as a journalist himself. "This poisoned gift is a blatant act of corruption perpetrated at the expense of the Treasury," the letter say. "It is a clear example of the systematic and casual waste of public funds by the authorities, the funds available to them are not to be used to provide bounties for political purposes and manipulation." 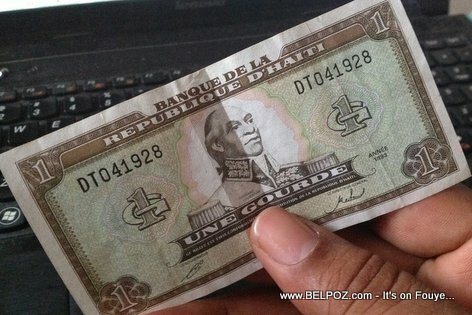 "It was a simple and honest gift," Lucien Jura told Haiti Radio Caraibes FM. "It was an initiative of the press office of the National Palace, not the President. We wanted to reward all the journalists who have access to the National palace for all the hours they had to wait in the hallways in the past 3 years for press conferences." According to Lucien Jura. They wanted to give each of these reporters a Laptop or an iPad to help them be more efficient in their work but some or the people who participated in the decision thought: perhaps they already have an iPad or a laptop so they came up with the decision to give them "the cash" equivalent to the gift so they could buy themselves a present they may have wanted. The reaction of the direction is a little exagerated; and one who is used to listen to Kiskeya can understand their reaction. I am almost certain that they would have a more subtile reaction if the gift were from a different source. They never like Martelly, so any time they find something to blow, they do it with more strength. A gift of 50.000 gourdes cannot turn them into propagandists. The government will do anything and everything to put the totality of the local media in its back pocket.